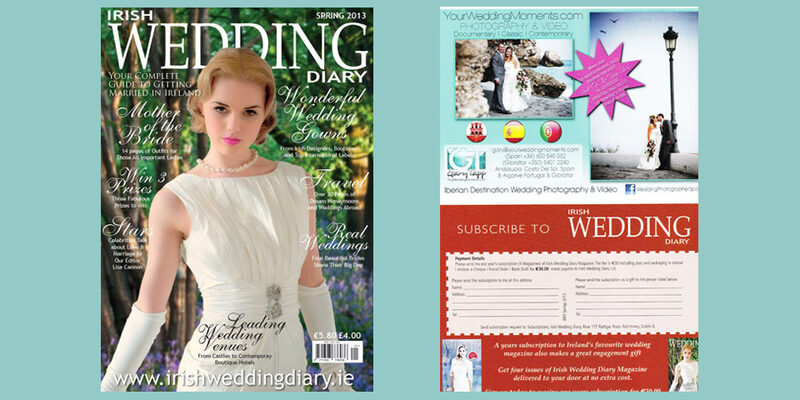 My ads in the Irish Wedding Diary Spring 2013. I shall also be in Dublin on the 26/27th January 2013 at the Bewley’s Hotel Ballsbridge, next to the RDS “Bride Of The Year” Wedding show, taking meetings and consultations with clients. These meetings are by appointments only where you can meet me in person and have an informal chat to view images of my wedding photography and my sample albums.